This Steller’s Sea Eagle was eating a duck I think, it’s very rare to see them eating anything other than salmon in Yakumo. Shame about the branches…………. 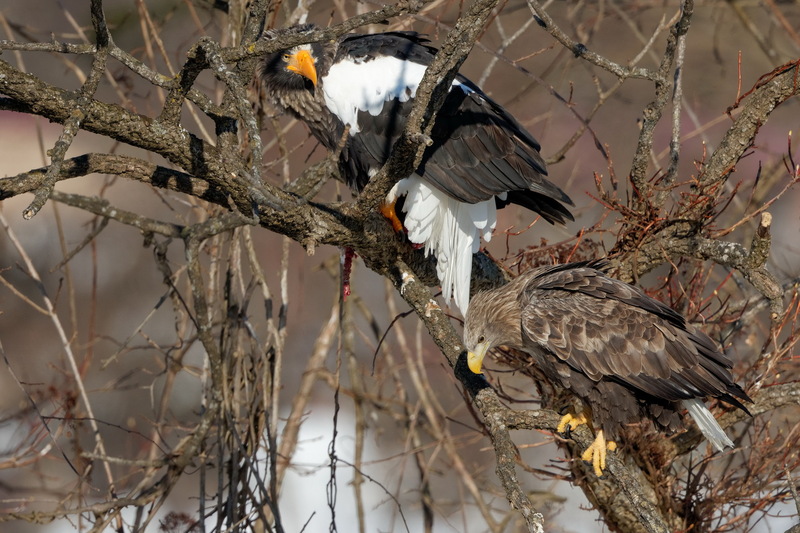 Several other eagles were hanging around the same tree hoping for some scraps……….. 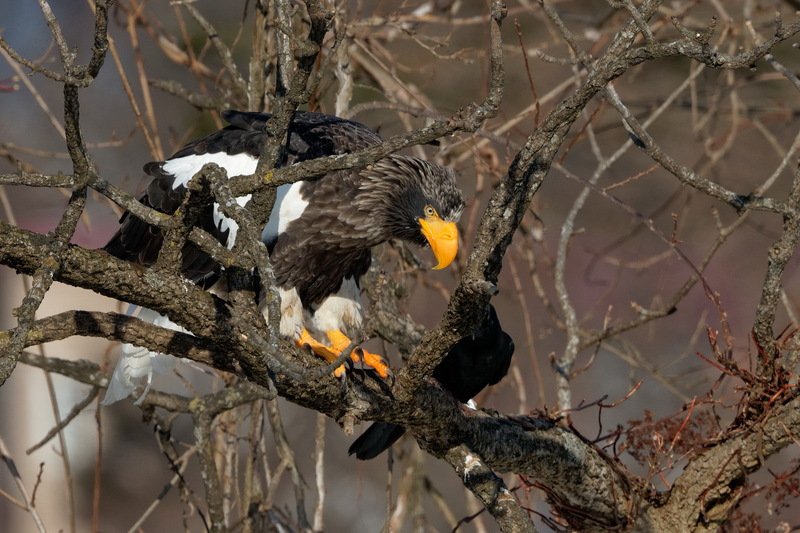 I really like these tree shots, especially in combination with other eagles/crows – and with plenty of detail. Had no idea the Steller’s would find ducks a tasty snack..
Well I guess they have to eat something when the salmon disappear………..